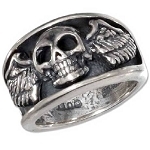 If having a bike is a part of your lifestyle, you should check out our selection of biker rings. For most people, it’s about being part of a group, community, or even a lifestyle for them. Which means you may need some unique items of jewelry and apparel to show which group you belong to. We can help you do that thanks to our selection of top styles and designs made by the best experts in the industry! 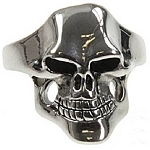 We have many incredible designs that include skulls, dragons, and many others made from the best materials. 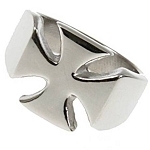 We have options that include stainless steel, titanium, bronze, and much more. 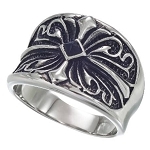 We have several different colors like black, gold, and silver for our high-quality rings. Whatever type of jewelry and rings you wear certainly says a lot about you. So be sure to purchase something that suits you well, and makes you feel like yourself. 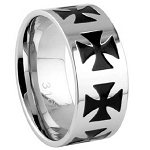 Our rings are made of the finest materials that are strong and durable. They will look fantastic and last a lifetime! 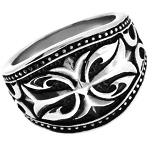 Our collection also includes bracelets, and we offer a spectacular variety to choose from. Our biker rings look and feel authentic, and will ensure that you look your best while you’re enjoying your time on the bike or even at work wishing you were on your bike. Wear your jewelry with pride and use it as a reminder of the community you belong to. 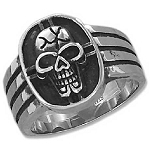 Explore your creative side and check out all the great looking designs that we have to offer here in our selection of biker rings. We offer many classic and contemporary styles that are durable, affordable, and look incredible. We invite you to explore our options and find one you love today!